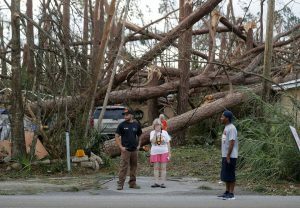 Recovery Links Hurricane Michael . In light of the catastrophic landfall of Hurricane Michael in the Florida Panhandle, Riders Of The Storm Recovery Resources has put together the following and will update this post with new resources as they become available. Previous PostPrevious Many Panhandle residents who have lost everything haven’t taken showers or been able to wash clothes in more than 12 days.